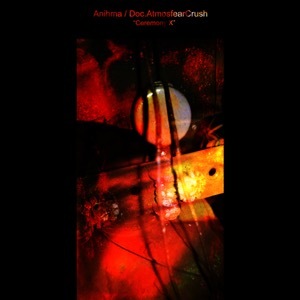 [EN] Electronic industrial ambient collaboration album between Anihma (a.k.a. Silvia Montiel / Ibiza, Spain) and Doc.AtmosfearCrush (of the [Esc.] Laboratory collective / Worms, Germany). [PT] Album de industrial ambiental electrónico em colaboração entre Anihma (a.k.a. Silvia Montiel / Ibiza, Spain) e Doc.AtmosfearCrush (do colectivo [Esc.] Laboratory / Worms, Germany).